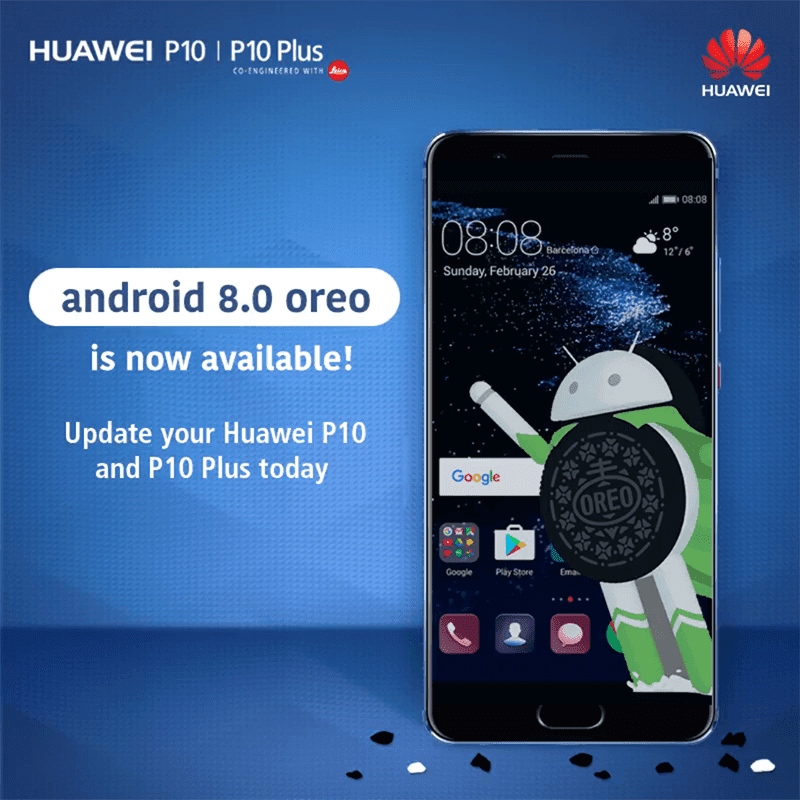 Huawei P10 and P10 Plus Oreo update now available! Home / huawei / mobile / news / Huawei P10 and P10 Plus Oreo update now available! Great news! Huawei Mobile just announced that the much awaited Android 8.0 Oreo update for the P10 and P10 Plus Leica co-engineered smartphones is now available! The update will bring the latest features and optimizations of Google's Android 8.0 Oreo OS. On top of that, it'll have Huawei's EMUI 8.0 skin that's now cleaner, smoother, more secured, and feature packed than ever. The update will automatically come to your devices via OTA (over-the-air update). But, you may also force download the update by going to the settings of your phone, select system update, and check for updates. Before updating, make sure that you have more than 50 percent battery life and stable internet connection. It is also advisable to backup your files first before updating. In case you missed it, the P10 and P10 Plus are two of Huawei's high-end P-series phone last year. They are equipped with the Kirin 960 chipset, dual Leica cameras, and great specs for their respective prices. Recently, Huawei also slashed the prices of those above-mentioned smartphones.